Police Officer Kevin Sandoval suffered a fatal heart attack while participating in departmental training at the Burro Canyon Shooting Park at 2:00 pm. Officers from the South Pasadena Police Department and the Pasadena Police Department were conducting a multi-agency training scenario when he collapsed near the firing range. Several officers who were cross-trained as paramedics immediately provided medical attention to him before he was flown to the Foothill Presbyterian Hospital, where he was pronounced dead. 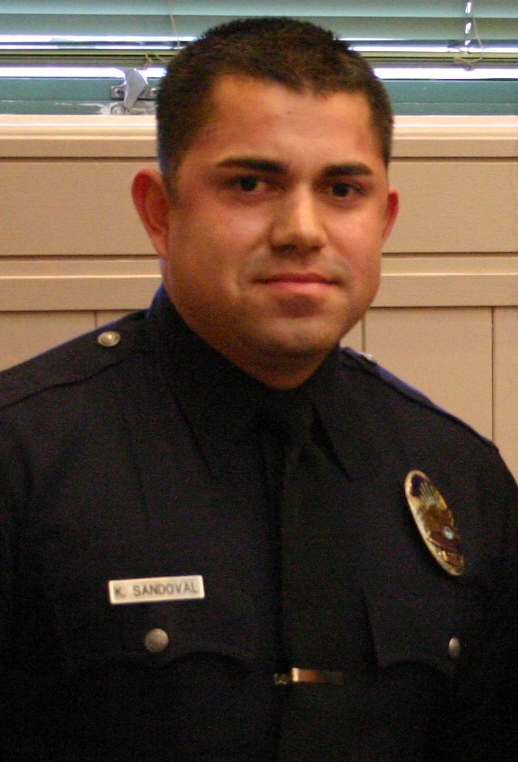 Officer Sandoval had served as a sworn officer with the South Pasadena Police Department for two years and had previously served as a cadet for 18 months. His is survived by his parents and sister.